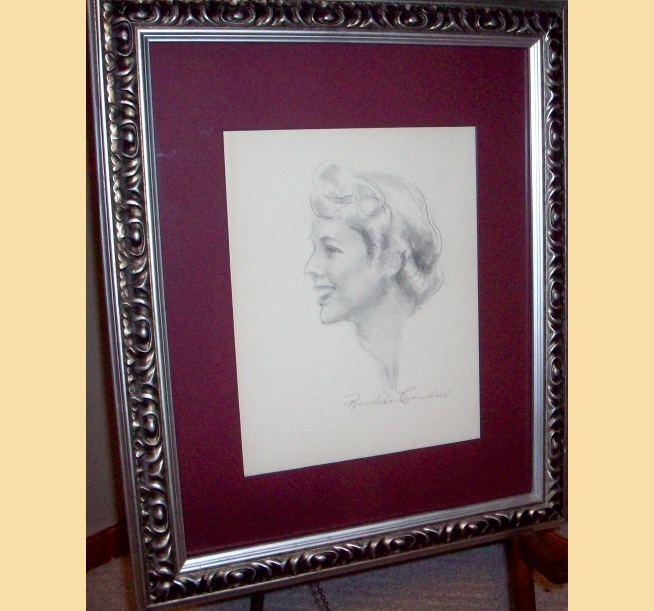 This is an original charcoal drawing on paper of a young woman rendered by artist, Bradshaw Crandell. The sight size is 10 1/4 x 13 1/2. Framed, it is 20 x 24. This charcoal is in good condition. Bradshaw Crandell (1896-1966) was one of the most famous "pretty girl artists" of his day. He created magazine covers of beautiful girls in the 1930's and '40's for "Cosmopolitan", where he succeeded famed cover-girl specialist Harrison Fisher. He provided covers for numerous other prestigious magazines, including "Redbook", "Judge", "Saturday Evening Post" and "The Ladies' Home Journal". In addition, he also produced movie poster art for Twentieth Century Fox and created calendar images for the Gerlach Barklow Calendar Company.